There is good news, however: we've managed to secure some financial support for the site and are on the lookout for a part-time coder to help speed things along. If you or anyone you know might be interested, please send me a PM on-site - we are working on a tight budget, however, so please keep that in mind! Regardless, we expect the availability of our existing coders to be more flexible soon - around Mid January. We'll make sure to keep updates regular, even if there isn't much going on behind the scenes - at this stage, we're fairly committed to rebuilding the site's foundations entirely so it may be awhile before the game enters a technical alpha once more. I'm personally hoping to see the pet demo available much sooner than January, but due to workloads, I can't specify a date for it just yet. Thanks for everyone's continued interest in ClanHeart! We've some markings in the works from our new marking artist, Mintaka. We've also got a new coder on board to help out as well, StarSea. Once development on the new site begins, we'll be looking at a couple major changes. First and foremost, most of your progression will be tied to your account, not individual characters. We'll have more specifics on this soon, but we'll be looking to rework and introduce skills, stats and abilities - not just for combat, but for crafting and exploration as well. 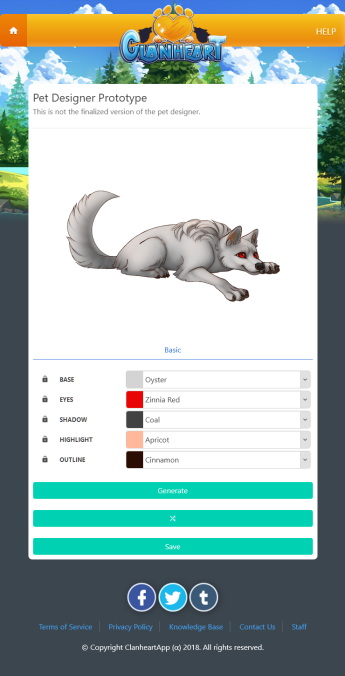 Secondly, you'll likely be able to collect any species and add them to your clan; you won't be restricted by a single type. When the new site is up and forums are functional, we'll engage with the community with development concepts/designs more fully and consider feedback before we implement them. We've a long road ahead of us, but we'll get there soon enough! We'll be using another website for testing while we set everything up - once we've got the server issues resolved, we'll be looking to port over features to the new site. This is largely due to the framework ClanHeart uses (Laravel) being out-dated. What this means for users, however, is that you'll likely need to register on the test site later on. You may need an invite code to access the new site, but we'll be sure to provide keys to players who've been tracking progress here. For now, however, we've got a new coder helping out with some of the more minor issues which we intend to resolve ahead of time for features that will be kept. We hope to have some progress on the missing territories as well as a way to manually cancel the clan transfer process so players can continue testing existing features. We're looking for some feedback on this! At the moment, a currency & pet wipe is a certainty. The experimenting that we've done so far has largely indicated the economy is widely unbalanced and needs a significant overhaul for the site to have any sort of longevity. - Clear all account information. - Preserve all account information. - Preserve accounts that have been active since the announcement last December and clear the rest. The latter option would primarily open up username options. Note: In all cases, with proof of purchase, you'll have an amount of premium currency credited to your account if you spent any amount of real-money on ClanHeart in the past. Right now, we are working with a small team of volunteers; there's very little monetary support for ClanHeart beyond the essentials. With the second coder, I'd expect to see more frequent updates to minor bugs and issues on the existing site, but larger updates may be irregular largely due to schedules & workloads of the primary coder. This means that I may need to bring bad news from time to time, largely related to delays, but I feel it's important that the community knows where we're at in terms of progress. That said, we won't be looking to establish any means of making purchases on ClanHeart until we're certain the site is presentable to the public. Until then, please remember that ClanHeart is in pre-alpha! As a final note, none of the current staff members were associated with the previous developers/staff of ClanHeart. We will also be looking to recruit helpers in some capacity as we progress. This is where things get tricky! I'd like to relay with the community frequently on this front. The breeding system is quite clearly broken, and in some cases it's far too easy to unlock new pets (provided everything is working). We need to rework this entirely. The territory system is fairly decent, but needs some rebalancing (for example, some quests yield 20,000+ sD for materials that cost less than 200 sD in the stalls). We need to re-balance this. The battle system is heavily flawed, favouring time invested rather than any intentional game-play. The way rounds resolve make little sense, and breakable abilities seem needlessly punishing. We need to rework this system entirely; additionally, we may be looking to scrap PvP / PvC content all together. Beyond those systems, everything else is largely standard. We've been looking at different approaches for ClanHeart (even going so far as to consider shifting it to a sort of RPG), but ultimately I think we're best keeping it a traditional pet site. 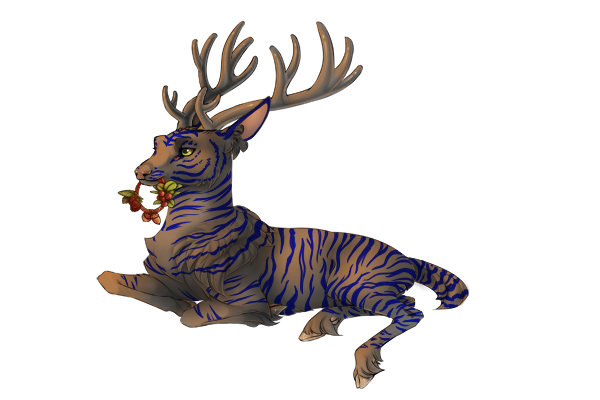 We may also look at allowing players to have a mix of species within their clan. The delays in coding have given us time to discuss ideas and concepts, and we'll make sure to detail them openly before they're implemented so the community can contribute their ideas and opinions. We intend to make these files publicly available once the image generation tool is available. You're free to use them as you'd like, but you must credit ClanHeart if you host or use the file outside of ClanHeart. Additionally, we may be looking to have official marking contests wherein the winners will receive premium currency at launch as well as have their designs implemented into the game as an option for all players. If you have any questions regarding images, contact our local expert Syzygy! If you have any general questions, please send me a PM - we'll hopefully have another progress update for you all soon! A prototype of the image generation tool has been completed, it's just not available yet! We ran into some issues with the foundation of the website itself, and figured it'd be a good opportunity to upgrade ahead of time to ensure things run smoothly. 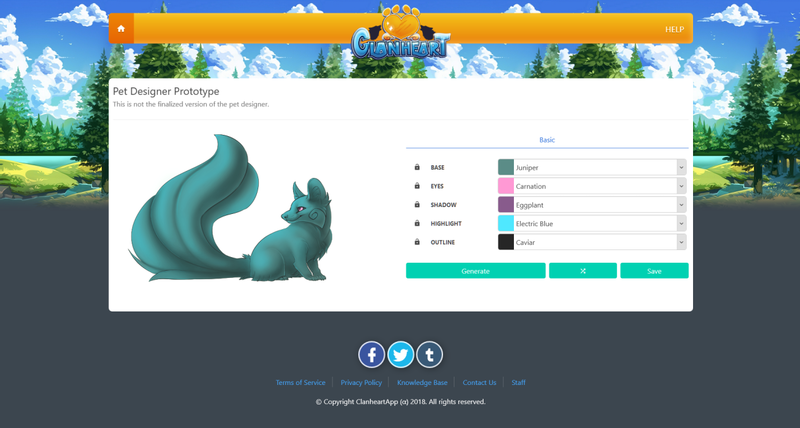 We've now run into some server issues which we hope to have sorted soon; once that's resolved, we should have a prototype pet creator for users to play around with while we get the rest of the site set-up. 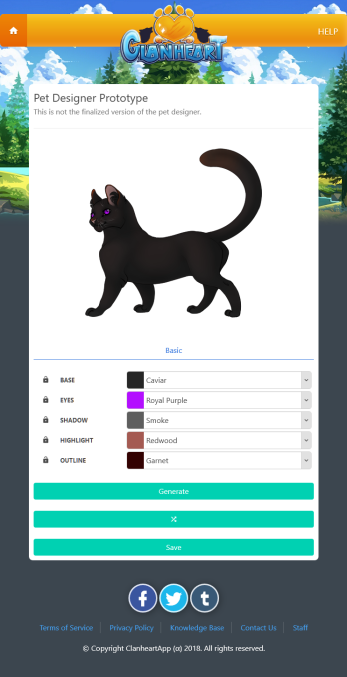 I can't provide an exact time-frame, but if the server issues aren't resolved within a week or so, I'll at least get some images of the new pet creator up on the forums. Apologies for the delays thanks to everyone for their continued interest in ClanHeart! As we're in the design stages right now I can't reveal too much information, but the general goal is to ensure there's a sufficient amount of on-site content to keep players entertained. As a consequence of these changes, you may notice certain areas of the website become inaccessible while we work on various aspects of the game. It's also possible that you may lose your characters as we set up a new character creation process. I'll post more information soon! Just a quick update today - we're looking at reworking the image server entirely. This should take 4 - 6 weeks, but should ultimately provide a more stable long-term solution. We may be able to establish a demo version of this new system earlier than that, but delays are possible. The new tech will also have some new markings added to it as well. The time-based events (excluding guild rewards) have all been enabled. Unfortunately, some players (like myself!) may be stuck updating their clans - we're investigating a way to terminate this process early to we can continue testing. Following the image server issues, we'll be looking at general game-play balance as well as a potential rework on the combat system. As some of you may have noticed, some previously broken features are now functional. We're working on time-based events - most of which are now active, but we need to do some research/information gathering on certain aspects before we can progress further - I'll have a forum post set up shortly in ClanHeart Discussion if you'd like to check it out and contribute if you're able! The Clan Update process is tied into these time-based events, however, there's an image server issue that needs to be resolved before updating your clan is possible. More details in the thread! I've created a couple discussion threads regarding some on-site features and the alpha/beta plans in the ClanHeart discussion forums - we'll make sure to be transparent with what we're doing and detail our plans ahead of time so you can comment on and influence them as development continues. Please note that the reports section of the site isn't working currently - please contact a staff member directly with any issues you might run into during testing! We'll have further updates for you soon! This is largely due to the programming language used for ClanHeart. We may need to look at alternatives, and can't provide an ETA at this stage. Thanks to everyone for their patience! We'll have news regarding the alpha once the image server problems have been resolved. We plan to move ClanHeart's image server to an existing image server once it becomes vacant. The logistics of that transfer are still being sorted out on their end, so we simply need to wait it out at this stage. While there's no specific ETA on when this process will occur, it should be fairly soon.